Could I draw your attention to our essay prize in the history of linguistics, closing date September 30th? The Vivien Law Prize is open to all currently registered students, and to scholars who have received their PhD or equivalent qualification within the last five years. Members of the Executive Committee of the Society may not apply. Applications from non-members are welcome. Essays should not exceed 8000 words, including references, footnotes, tables, appendices, etc. The essay should be sent in electronic form to the Honorary Secretary of the Executive Committee Dr Liv Walsh (Olivia.Walsh@nottingham.ac.uk) by the closing date. The prize consists of £200, one year’s free membership of the Society and a free copy of Vivien Law’s The History of Linguistics in Europe from Cambridge University Press. As every year, we look forward to receiving your entries. 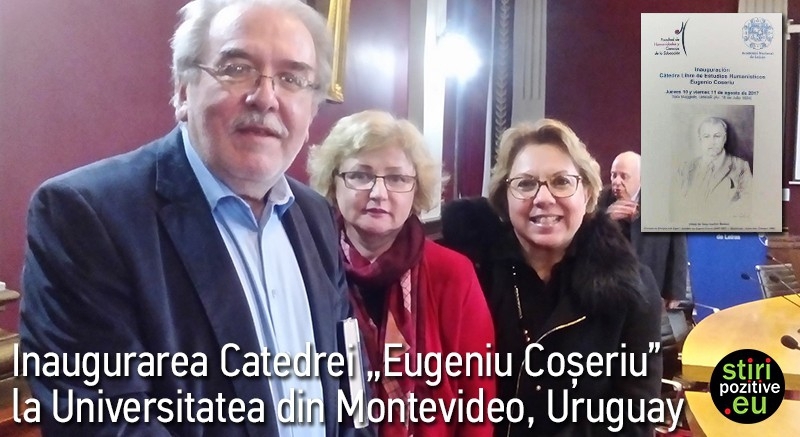 Universidad de la Republica, em Montevidéu, Uruguai, abriu hoje em dia, sob os auspícios da Academia de Ciências da Argentina, Chile e Uruguai, um Departamento de Ciências Humanas, em homenagem a nosso grande ancestral, cientista-linguista Eugeniu Coşeriu. 2017 year will be the 100th anniversary of the Great October Socialist Revolution, which changed the development of peoples of Former Russian Empire. The new linguistic politics of Soviet Union and so called ''New Linguistic Theory'' were the consequence of this revolution. Due to this reason some sessions of the conference will be dedicated to the problems of the history of Soviet Linguistics and the Soviet Linguistic Politics. Papers relating to any aspect of the history of linguistic ideas developed alongside with ideologies are invited, focusing on diverse topic areas from individual case studies to methodological considerations. The deadline for submission of abstracts is July 15, 2017. The conference editorial board will select the papers to be presented at the conference. Final selection will be made by July 25, 2017; notification of acceptance will be sent before July 30, 2017. The Organizing Committee cannot financially support the conference participants. All fees and expenses must be met by the participants and/or their organizations. 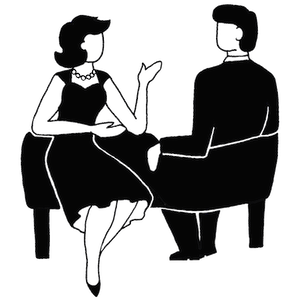 They gather together proposals (for workshops, papers, or posters) concerned with the history, epistemology or historiographical problems of the language sciences. Des déjeuners sont prévus sur le lieu de la conférence (à payer lors de l’inscription). Aucune inscription au déjeuner ne sera possible sur place. Un diner de gala est prévu le jeudi 31 août, limité à 100 personnes. Le ticket doit être acheté lors de l’inscription. Afin de faciliter le déplacement des doctorants et des jeunes docteurs sans poste, le comité d’organisation propose 10 bourses de 250€. Dossier de candidature à télécharger sur le site (https://ichols14.sciencesconf.org/resource/page/id/18 ) et à renvoyer accompagné d’une lettre de motivation à ichols14@sciencesconf.org avant le 30 avril 2017. Le Ministère de l'Éducation Nationale, de l'Enseignement Supérieur et de la Recherche a mis en place le programme "ACCES" pour encourager la participation de chercheurs originaires d'Europe Centrale et Orientale, de Russie, du Caucase et d'Asie Centrale à des colloques organisés en France. Si vous appartenez à l'un de ces pays et souhaitez bénéficier d'un financement (frais de voyage et frais de séjour), envoyez votre CV ainsi qu'un budget prévisionnel (frais de voyage et frais de séjour) à ichols14@sciencesconf.org avant le 1er avril 2017. Votre dossier sera présenté par le comité d'organisation auprès du Ministère. A Historiografia Linguística, que pode ser definida como os estudos sobre a história das teorizações e ideias a respeito das línguas e da linguagem, é uma disciplina cujo escopo vai desde os conceitos que levaram à invenção dos sistemas de escrita, os primeiros glossários e dicionários até a elaboração de gramáticas e a debates sobre a natureza e o funcionamento da linguagem. Essas reflexões têm ganhado cada vez maior reconhecimento na área da Linguística no Brasil, sendo que há pesquisadores de Historiografia Linguística ou História das Ideias Linguísticas em diferentes instituições brasileiras, como UNICAMP, USP, UNESP, UFPR e UFJF . A jornada deste ano, além de uma visão dos princípios e métodos gerais da Historiografia Linguística, também propõe um campo de pesquisa específico e ainda pouco conhecido dessa disciplina, a saber: a Linguística Missionária, que se concentra nas elaborações teóricas de estudiosos ocidentais que, pela primeira vez, depararam-se com línguas não indo-europeias e tiveram que adaptar seu conhecimento técnico gramatical greco-latino a esses novos objetos de estudo. Primera circular El Instituto de Lingüística de la Facultad de Filosofía y Letras de la Universidad de Buenos Aires invita a todos los investigadores que trabajan en el área de la historiografía lingüística a participar del XI Congreso Internacional de la Sociedad Española de Historiografía Lingüística, que tendrá lugar en la Ciudad de Buenos Aires los días 19, 20 y 21 de abril de 2017. La Sociedad Española de Historiografía Lingüística (SEHL) tiene como principal objetivo la promoción y divulgación del conocimiento acerca de la historia de las ideas lingüísticas y de la evolución epistemológica del conocimiento sobre el lenguaje. Desde su creación en 1995, la SEHL ha promovido la realización de congresos internacionales con el fin de propiciar el encuentro entre sus socios y fomentar el contacto entre investigadores interesados por la historiografía lingüística. Conferencias plenarias Sylvain Auroux (CNRS) Salvador Gutiérrez Ordóñez (Universidad de León). La fecha límite para el envío de resúmenes es el 30 de septiembre de 2016. No âmbito dos processos de expansão marítima e das missões, o Português tornou-se uma das principais línguas veiculares à escala mundial, bem como, em conjunto com o castelhano, o principal espaço linguístico através do qual as línguas ameríndias, africanas e asiáticas e respectivas civilizações foram originalmente traduzidas para qualquer outra língua europeia. 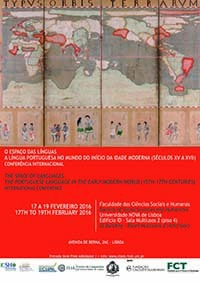 Tanto o Congresso "O espaço das línguas" como o Projecto de investigação que o suporta visam estudar as raízes da difusão, formas e contextos de uso da língua Portuguesa, bem como de pidgins e crioulos de base portuguesa, no início do período moderno. Este colóquio insere-se no projeto «O espaço das línguas. A língua portuguesa no mundo do início da Idade Moderna (séculos XV a XVII)». A l’occasion du centenaire de la publication du Cours de Linguistique Générale, différentes manifestations scientifiques et commémoratives sont organisées sous l’égide du Cercle Ferdinand de Saussure. Le deuxième appel à contributions est d’ores et déjà ouvert – il se clôturera pour Paris le 15 février 2016 et pour Genève le 1er août 2016. Outre les communications en sessions parallèles et en ateliers « captifs » (liés aux thématiques des sessions), nous attendons vos propositions concernant l’organisation d’ateliers libres à Genève. Nous vous remercions par avance de bien vouloir faire circuler cette information auprès de vos institutions et dans votre liste de diffusion. Saussure’s Cours de linguistique générale was published a hundred years ago. To celebrate this anniversary, the Cercle Ferdinand de Saussure is organizing different scientific and commemorative events. You will find of all the necessary information on the website: www.clg2016.org which will be updated regularly. The second call for papers is already open. It will close 15 February 2016 for Paris and 1st August 2016 for Geneva. In addition to communications in parallel sessions and in « related » workshops (linked to the session themes), Geneva offers an opportunity for « free workshops » (independent from session themes) for which we hope you will send us some proposals. We would be grateful if you communicate this information to your own professional networks. The Philological Society is delighted to launch the ninth R. H. Robins student Prize for an article on a linguistic topic that falls within the area of the Society's interests as defined by present and past publications in the Transactions of the Philological Society (TPhS). The closing date for submissions is 1 November 2016. Submissions are to be written in English. They should not exceed (but need not be as long as) 10,000 words, including tables, figures, notes, appendices, references, etc. Submissions (in Word and PDF format) should be sent to the Society’s Secretary, Professor Klaus Fischer, by e-mail attachment, together with the letter mentioned in (i) above. The article should follow the TPhS style sheet. The style sheet can be downloaded by clicking on the link on the right. The winner and runner-up will be announced at the Society's Annual General Meeting in June 2017. The fifth biennial conference of the Society for the History of Linguistics in the Pacific will be held in Potsdam, Germany, 5-7 September 2016. With a strong contingent of participants from Australia and the Pacific region expected, the conference should provide an excellent opportunity for intercontinental contact and exchange. Papers will be 20 minutes in length followed by 10 minutes of discussion. 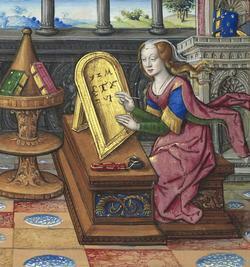 The theme of the conference is “Philological fieldwork”, although papers on any relevant topic are welcome. Papers will be 20 minutes in length, followed by 10 minutes of discussion. Please submit abstracts (no more than 500 words) by 31 March 2016 for consideration by the Organising Committee to: Dr Torsten Meißner, tm10012@cam.ac.uk. We look forward to welcoming you in Cambridge next September! de História e Filosofia da Linguística que têm sido orientadas por ele no Programa de Pós-Graduação em Estudos Linguísticos da UFPR/Curitiba. Rodrygo Yoshiyuki Tanaka (Professor do Departamento de Línguas Modernas da UNESP/Assis) falará sobre os dicionários de língua japonesa compilados por jesuítas portugueses no contexto do “Século Cristão”, entre o ano de 1543 e 1635 – um período da história japonesa marcado por fortes relações comerciais e culturais entre portugueses e japoneses, em que surgiram várias traduções, gramáticas e dicionários. Em especial, o Prof. Rodrygo tratará da produção lexicográfica e apresentará os estudos desenvolvidos em Historiografia Linguística sobre esse período. This one-day event will celebrate the 500th anniversary of the publication of the first grammar of the Italian language, Fortunio’s Regole della volgare lingua (1516), ahead of its anniversary in 2016. The event intends to be a re-assessment of the Italian grammatical production in the last five centuries, examining its development from Fortunio’s Regole, which established a long-lasting tradition of ‘grammatica degli autori’ (based on the language of the great authors of the past), until contemporary speaker-based grammar production, a ‘grammatica dell’utente’, which responds to the needs of the public (by means of online dedicated webpages whereby grammarians answer users’ linguistic queries).This event intends to offer an original and ‘different’ approach to grammar and grammar texts and to show how grammar texts, rather than sterile and repetitive ‘objects’, as they are often (unfairly) considered to be, reflect instead the culture, tastes, and needs of their reading public and, more broadly, of the era in which they were produced. Speakers have been invited to present unusual, ‘curious’,and little-known examples of grammar production, both in print and in manuscript, with the aim of bringing to light new facts and events within the history of Italian grammar production, the history of the Italian language and culture, and the history of linguistic thought. Papers will be in English and Italian. A special issue of The Italianist, collecting the papers presented at the conference, is due to be published in 2016 precisely to mark the 500th anniversary of Fortunio’s Regole. An exhibition of Italian grammars held in Cambridge University Library will take place between 12 November and 11 December 2015. 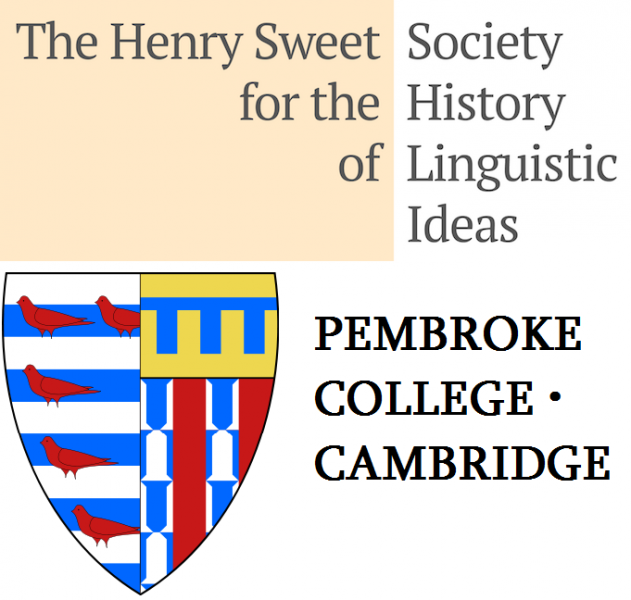 The conference is generously sponsored by the Department of Italian at Cambridge University, the Italian Cultural Institute in London, the Modern Humanities Research Association, the Society for Italian Studies, and the Henry Sweet Society for the History of Linguistic Ideas. Expressions of interest are invited for a working group on the long-term histories of grammatical traditions, and on the interactions between different grammatical traditions. The activities of the working group will include a workshop; participation will be generously funded for up to ten participants by the project's sponsor, the UK's Arts and Humanities Research Council. Activities will also include preparing individual contributions for publication, and contributing to a multi-authored article; publication mentoring will be offered to early-career participants and any others who would like such support. When a language changes, concepts of grammatical description may remain the same in name while acquiring a different value. For example, the distinctive contrast between long and short vowels found in Classical Greek was lost at some point after the Classical period, yet grammarians continued to operate with the concept that some vowels were 'long' and others 'short', and continued to put this concept to work in describing the language as a whole. Statements of possible positions for the word accent continued to invoke this distinction between 'long' and 'short' vowels: the accent fell on one of the last three syllables in the word, and normally on one of the last two if the final syllable contained a 'long vowel'. For this purpose, the teaching of traditional vowel lengths survived into the school tradition on modern Greek until fairly recently. In effect, what had once been an audible or surface distinction became an abstract or underlying feature—a technical device that helped in the description of complex patterns of alternation. Terms and concepts of grammatical description may also be borrowed from the description of one language into that of another. But the grammatical categories of one language may not map neatly onto those of another. As a result, features of one language may be imported into the description of another, but at an abstract level of the descriptive system. For example, Latin grammars influenced the early English grammatical tradition, with results including the idea that English nouns and adjectives have all the grammatical genders and cases found in Latin. These features of Latin could be imported on an abstract level as long as one recognised that grammatical gender never determines the form of an English noun or adjective, and most of the cases sound identical (see e.g. U. Dons, Descriptive Adequacy of early modern English grammars, Mouton de Gruyter 2004, pp. 39–53, 214–16; H. Gwosdek, Lily’s Grammar of Latin in English, Oxford University Press 2013, pp. 136–7). Fruitful work has been done, and is currently being done, on topics connected to the long-term histories of grammatical traditions and their interactions with one another. Much of this work is naturally embedded in scholarship on the individual languages involved. But it is also worth taking a comparative perspective: what common themes and problems emerge if scholars working on such topics talk to each other? La realización de Congresos Internacionales dedicados a la Historiografía Lingüística constituye una de las principales actividades de la Sociedad, para promover el encuentro entre los socios, fomentar el contacto entre investigadores interesados por la historiografía lingüística y facilitar un medio que, alternando su aparición con el Boletín de la SEHL, difunda adecuadamente las investigaciones. Cada Congreso cuenta con sus propios comités científico y editorial, cuya misión es asegurar que las publicaciones que de ellos resultan cumplan los requisitos exigibles a cualquier publicación científica de impacto. En la X Asamblea General de la SEHL - X CONGRESO INTERNACIONAL DE LA SOCIEDAD ESPAÑOLA DE HISTORIOGRAFÍA LINGÜÍSTICA Cáceres (España), reunida el pasado día 2 al 4 de septiembre de 2015, a propuesta de la assemblea, se incorporó al comité científico del BSEHL al Dr. Emilio Ridruejo y a la Drª Cristina Altman. Se acordo elaborar um protocolo para la renovación progressiva de los membros del comité. La asamblea aprobó por unanimidade la propuesta de la Universidad de Buenos Aires, presentada por el Dr. Guillermo Toscano y Garcia, como sede del XI Congreso Internacional de la SEHL, que se celebrará em ela ñ 2017. The recently found "Laboratorio di Storia delle Idee Linguistiche", held at "Sapienza" Università di Roma, is organizing the International Conference Saussure and his Italian interpreters. of Linguistics and the European milieu. The Conference will be held at "Sapienza" University in June 2016. Conference location and dates: "Sapienza", 6-7 June 2016. Invited speakers: T. De Mauro, D. Gambarara, M. Mancini, C. Puech, J. Trabant. Lenght of abstract: no more than 4000 characters. Notification of acceptance: January 2016. Further details will follow in the forthcoming weeks. O Grupo de Pesquisadores do CEDOCH tem o prazer de convidar, a todos os interessados, para a 8ª edição do MiniEnapol de Historiografia Linguística. As inscrições para o Evento estão abertas e podem ser efetuadas por aqui, até 8 de maio. Em breve, noticiaremos, aqui, a programação completa do Evento. 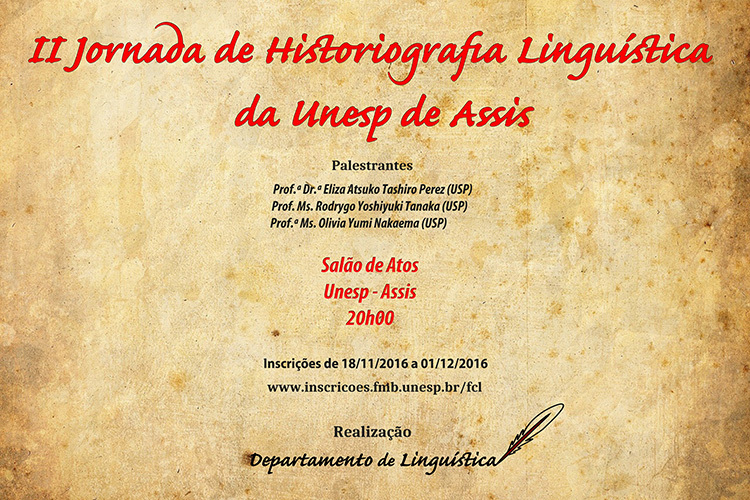 O Projeto 9 da Associação de Linguística e Filologia da América Latina (ALFAL) – Projeto de Historiografia Linguística coordenado pela professora Cristina Altman (CEDOCH/USP) – recebe, até o dia 30 de outubro (pelo e-mail altman@usp.br), sugestões de participação em uma das três modalidades pensadas para este Encontro: comunicações (individuais ou coordenadas) baseadas em pesquisas que já tenham resultados; mini-curso (com 7 horas de duração); mesa de debates sobre um tema previamente acordado. O Projeto pretende discutir, com os grupos interessados, os processos de emergência, divulgação, circulação e recepção das diversas tradições de estudos linguísticos - com destaque para os contextos ibéricos e latino-americanos - durante o XVII Congresso Internacional da ALFAL, que acontecerá de 14 a 19 de julho, na Universidade Federal da Paraíba (João Pessoa / Brasil). A data limite para envio de resumos de comunicações é 16 de novembro. Para outras informações sobre o Evento: www.alfal2014brasil.com. 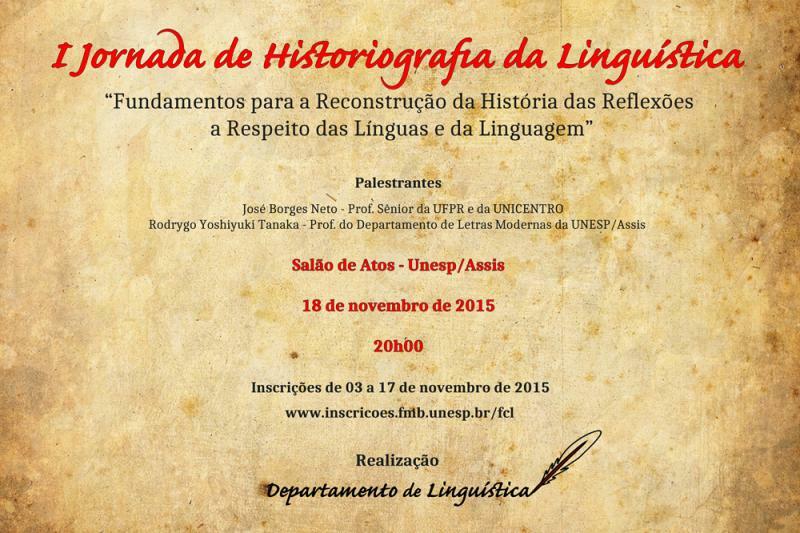 No dia 17 de maio próximo, os componentes do GT de Historiografia Linguística da ANPOLL farão uma reunião na PUC de São Paulo para discutirem algumas temáticas importantes da área. Dentre os pontos a serem analisados, encontram-se a vitalização da pesquisa em Historiografia Linguística no Brasil e o papel desse campo de investigação no cenário acadêmico brasileiro. Os componentes do Grupo também farão comunicações de suas pesquisas em andamento. O Encontro acontecerá em duas sessões, uma pela manhã e outra pela tarde: a primeira, das 9h às 12h; a segunda, das 13h30 às 17h30. Pesquisadores do CEDOCH participarão do XVII Congresso da ALFAL, que acontecerá na Universidade Federal da Paraíba (UFPB), João Pessoa/PB, Brasil, de 15 de julho a 19 de julho de 2014. Nesse período, será celebrado o quinquagésimo aniversário da Associação. Em breve, disponibilizaremos mais informações sobre o Evento. A aluna Julia de Crudis Rodrigues, bolsista pela CAPES, acaba de ingressar como mestranda no Grupo de Pesquisadores do CEDOCH. Julia, que já contribuía com o Grupo em seus trabalhos de iniciação científica, desenvolve, agora, sua dissertação, cujo título é "Fonética, Fonologia e Ortografia em Gramáticas Portuguesas do Século XIX: Terminologia, Técnicas e Contextos para a descrição". A pesquisa amplia os esforços do CEDOCH no sentido de documentar e interpretar a gramaticografia portuguesa no período em questão. Universidad de la Republica, em Montevidéu, Uruguai, abriu hoje em dia, sob os auspícios da Academia de Ciências da Argentina, Chile e Uruguai, um Departamento de Ciências Humanas, em homenagem a nossa grande ancestral, cientista-linguista Eugeniu Coşeriu.